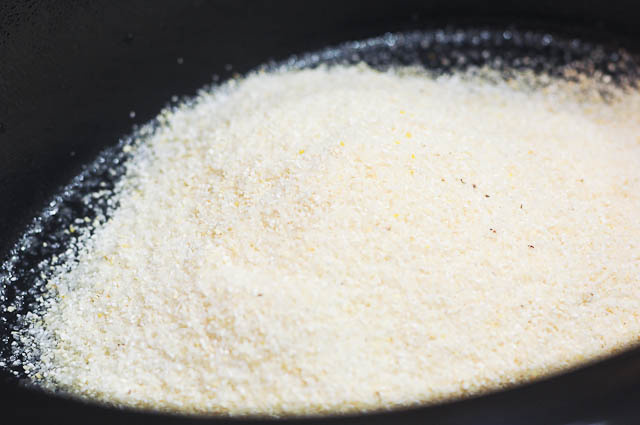 I’m not sure how old I was when I first tasted grits, most likely my Mother or Grandmother started me eating them as one of my first foods when I was a toddler. 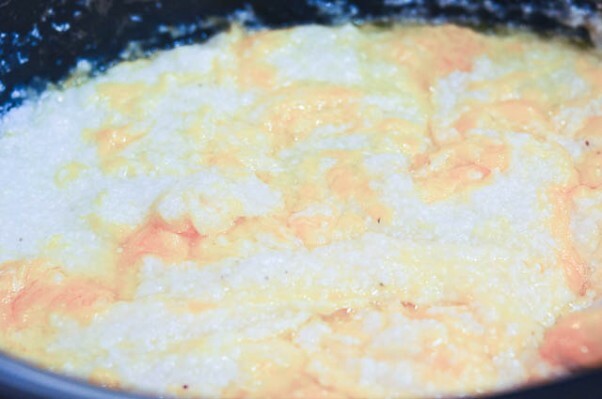 They both always made the best grits – creamy, buttery, and cooked to perfection. I remember spending the night with Grandmother and waking up to the intoxicating, heady aroma of bacon crackling in her cast iron skillet. I’d quickly wipe my eyes and head down the long hallway of her house toward her kitchen where she was humming her favorite hymnals as she prepared our breakfast. I always wanted to be the first one into the kitchen with her when she was cooking to watch her perform her magic and to hopefully be able to taste test any number of dishes she was preparing. Even as a young girl, I remember being mesmerized watching her in the kitchen. For breakfast she’d have a pitcher of orange juice, a pot of coffee, her bacon nearly done in the cast iron skillet that was slick and shiny from years of use. Her biscuits were neatly placed in one of her biscuit pans and rising in the oven while the eggs sat in a bowl on the counter waiting to be scrambled in a bit of the bacon drippings once the bacon had been cooked. But on the back eye of her stove stood a pot with grits thick from being cooked since very early in the morning with cream and butter just waiting on cheese to top it off. Now I can easily buy grits in any number of varieties at just about any grocery store I step into below the Mason Dixon line and have even been shocked to find some when visiting other parts of the country. But old fashioned, stone ground grits are the preferred grit around my house. Luckily for me, you can cook them without having to get up before the rooster crows like my Grandmother did by using the slow cooker. Spray the crock of your slow cooker with non-stick cooking spray. Then add in your grits. Now turn on low and cook overnight for about 7 hours. 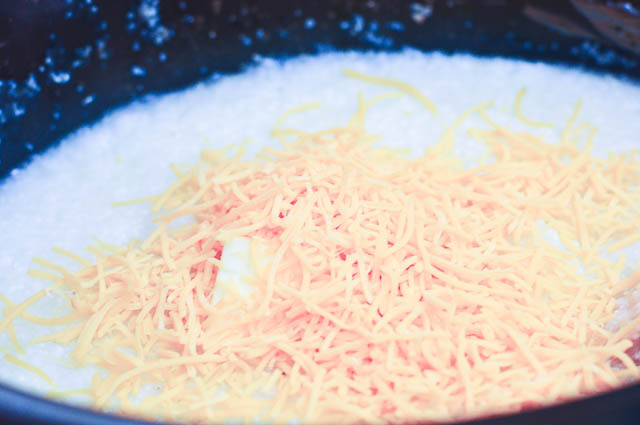 Stir, cover, and cook until all of your cheese has melted. Serve it with another little bit of cheese and butter and enjoy. Oh, and maybe scramble a few eggs and bacon to go with it. Grits are always better with a few of her friends. Slow Cooker Grits make any morning easier. Get this recipe for stone ground grits cooked in the slow cooker. Spray crock of slow cooker with non-stick cooking spray. Add grits, water and salt. Cook on low setting for 7 hours or overnight. Before ready to serve, remove lid and add cream, butter, and grated cheese. Serve with additional butter and grated cheese. What’s your favorite thing to eat alongside grits? I love love love grits. But I always have them with sugar and butter. Is that weird? I really need to try them with cheese one of these days!! I really love hearing your story about your grandma’s cooking. It made me smile!! I can’t claim to know much about grits since I was born and bred in New York. But I do enjoy froed polenta cakes with eggs or garbanzos. I happen to have a post up on my site now with just that! This looks wo derful. I didnt know grits could be made in the slow cooker. So convenient! I have never done them in the crock pot, but that’s the darndest thing!!! And cool too. So, when I moved to Georgia at 21, I lived in a home with a few other women. We were renting rooms from a couple who lived in a big ol’ Savannah home. The woman kept her pantry stocked for us. She told me she had never had oatmeal before the girl who was in the room before me moved in. I had never had grits. Still not sure about them but anything with a ton of cheese in it can’t be that bad, I guess. 🙂 This looks like a great way to make them – put it on overnight and grab and go in the morning. Not a bad idea. Those grits – now your talking!!!! 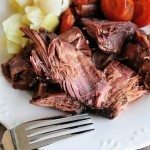 A great idea cooking in crockpot – will definitely give these a try. 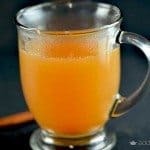 Great recipes with a family connection – what could be better!!! Thanks Robyn! Knew something looked wrong – once I clicked post comment it stuck out like a sore thumb – YOU’RE talking – not your talking!!!!! This looks delicious! Add some bacon and I am ready to go! I have a new-found appreciate for grits and with the odd hours I’m working as of late, this is perfect for some yummy comfort food! I fist saw people eating grits when I was in flight attendant training in Atlanta…I thought they were crazy. 😉 Now, I get it. And slow cooker? How smart! I love buttery, cheesy goodness like this. I want to just bathe in it 🙂 I’ve never thought about doing it with a slow cooker but it’s such a wonderful idea. Oh yes..I love me some grits. Anytime I make ham for dinner we get cheese grits to go along with it!!! I love eating grits, add cheese and I’ll ask for seconds. And slow cooked while I’m sleeping, that’s even better. HI there…I stumbled upon your blog looking for a breakfast casserole crock pot recipe that I can’t seem to find…and loved this post. 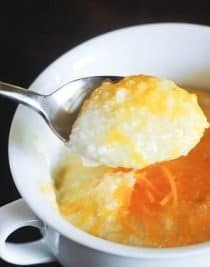 I live deep in the south of Georgia where grits in the crock pot are the best way…We LOVE our grits, now. We also eat them with our fried fish…and a good shrimp and grits recipe would knock your socks off! I get my grits when I go to the North Georgia mountains…stone ground and fresh and the best grits you’ll ever put in your mouth! At Logan Turnpike Mill. I live in South Florida and my husbands begs me all the time for Shrimp and Grits. I love trying different recipes for them. one thing is always consistent—-the Grits are from Logan Turnpike Mill!! We discovered them on a vacation to the Georgia Mountain Fair and never buy them at the grocery anymore. I usually make them the long way (on the stove) but knew there had to be a way to use the crockpot. Next time I make them will definitely be in the crockpot! I’m going to have to check into those grits! They sound wonderful! Being from Southwest Louisiana ( Cajun Country ) we have “Quick Grits” most of the time. 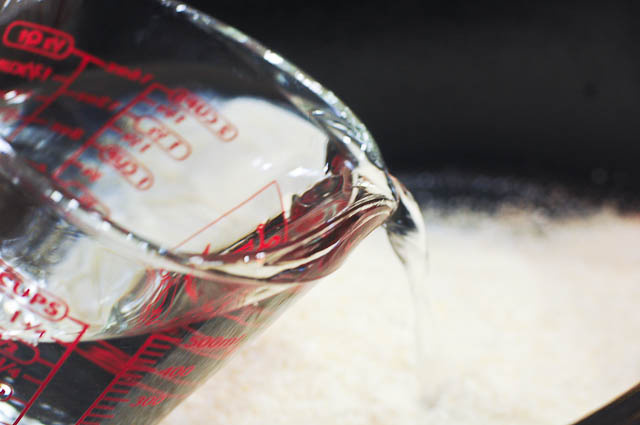 I enjoyed reading your method of cooking whole grain grits. I have a farmer friend that grows some really nice corn. I will get about 10 pounds of his corn and grind it coursely to make the grits. You probably never heard of grillads, an old cajun meat dish cooked in a gravy and served over the grits. This dish was usually served later in the morning on Sunday, after everyone came back from church. This time it will be served to a bunch of old guys that meet at the farmers plsce on Tuesday evenings to have a meal, complain about what Obama and Bobby Jindal our governer is doing and mostly tell lies to one another. Thanks for the nice blog. Denis. I love grits with bacon, cheese, salt, pepper and just a tad of louisiana hot sauce! My kids loved it and still want it when they come home. I have very fond memories of my Grandma’s bacon and big fluffy biscuits! Those were the days! thanks for the memories……. These grits sound awesome! I need to feed 10 hungry people this weekend and I was wondering if the servings could be increased and how would I measure this out? How much longer would it have to cook? hi! i made these last year at Christmas and i followed the directions every step of the way.i cooked them for over 8 or 9 hours and never stirred them until i went to add the cream,cheese and butter but…they were very,very soupy…my husband said i probably should have stirred them but i did not ..just followed the instructions…so what do you think went wrong? i want to make them again for a gathering next week end but i want them to be creamy and not soupy….thanks!!! I cooked these last night. These were soupy too but might not have if it hadn’t cooked a 1/4 inch layer on the sides that was browned and stuck. What could I have done different to avoid that? I did make a half batch. Is that why it did that? I made these grits last night and they were really good. I was nervous about making them given some of the reviews. I could not find stone ground grits at the last minute so I used Quaker brand old fashioned white grits. They worked out great. I made this for a teacher appreciation breakfast and wanted something that would stay warm and not dry out in a crock pot. This was a perfect recipe and when I opened the lid at the breakfast everyone swarmed around me because of the savory smell. I doubled the recipe and all the ingredients except the cream. I added Morton’s seasoned salt to the grits and water instead of salt for added flavor. I like garlic cheese grits. I put them on low at 9 pm and opened lid at 6am. There was a tough film of grits on one side of the crock pot and some watery spots in the middle. The seasoned salt I used had drifted to the middle in a small gray spot. I stirred the ingredients well with a spatula and scraped down the sides. I did pull out one big grit piece that did not dissolve with the stirring. I had a hard time getting all the cream to absorb so I just used about half the specified amount. The butter and cheese melted without any issues. I did use the finely shredded sharp cheese. The grits were really delicious. 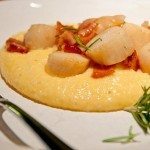 I am a southerner and a grits snob and this recipe is a definite keeper for brunches and lazy weekends. It was very easy to make. Just stir and blend all ingredients well. Thank you for a great recipe. 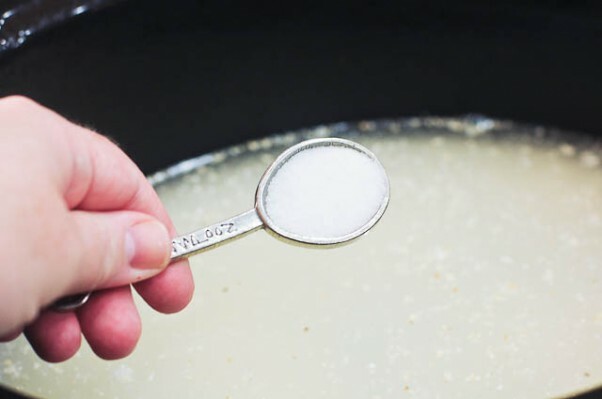 This is my go-to recipe for grits. It is amazing. 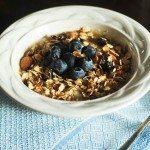 I use whole milk instead of cream and sometimes use velvetta because that’s what I have, and they are so creamy. 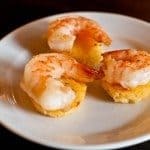 Serve with popcorn shrimp and a salad- it’s one of my family’s favorite dinners! Thank you for this recipe! I’m so glad you love them, Libby! 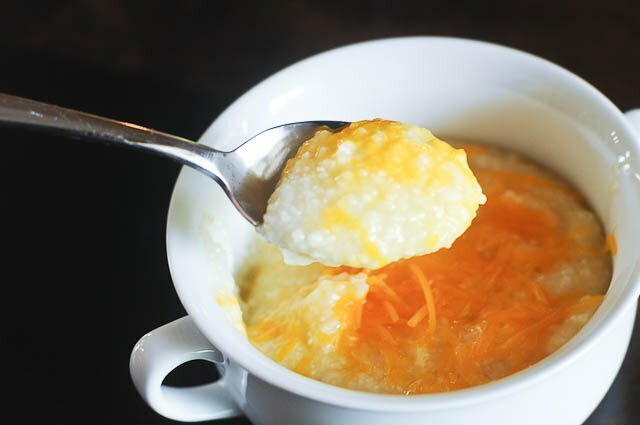 We love cheese grits in the crock pot. In fact, we call them Crackpot Grits, because they are so good. The only way to improve on your recipe is to use crockpot liners to make clean up a breeze. LOL! 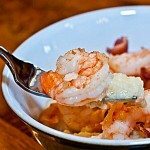 I use a 6-quart slow cooker for this recipe. Thanks! I enjoyed the different grits recipes and just got a new crockpot for a gift, and will put one of the recipes to the test. Congratulations on your new slow cooker! I feel like mine is one of my best friends we are together so much! 🙂 I hope you enjoy the grits! Do you have to use stone ground I couldn’t find it in the store only old fashioned? Are they the same? You can use old fashioned grits, Jackie. Hi! Do you think this recipe could easily be doubled and work out well? I just started to really take a good look at your recipes, and they seem inspired, homey, and Southernly delicious. I am looking forward to sampling several. Thank you! Do you think these will hold well while transporting in my slow cooker from home to work (about a 20 minute driver)? Do you think I should wait until I reach work to add the cream, butter and cheese? I am worried they will seize without constant heat. My recipe calls for adding the cream, butter, and cheese right before serving. 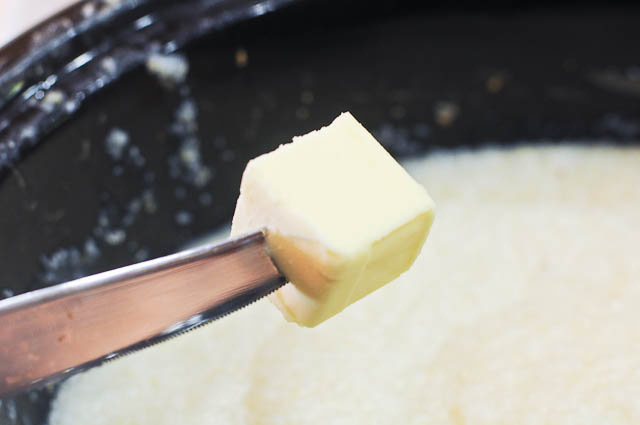 If they are not warm when you reach your destination, then you can decide if you think you should warm them prior to adding the cream, butter and cheese just prior to serving. Thanks! Every year since I was a young child we would have Christmas Morning, all the fun that Santa brought us, open presents and then quickly had to pick up because my Aunt, Uncle and cousins would come over for brunch. Mom would make grits, her sausage casserole and biscuits. Now that everyone is older we still have the same tradition. But with age, we have discovered it takes us a lot longer now. So we have decided to do everything the night before. So at the last minute I Googled Crock Pot Grits and your recipe was the first to pop up. We doubled the recipe but now looking back we did it all wrong. Guess that’s what we get for doing it all at 2 AM. We did not have the stone ground grits, we had the old fashion white grits which worked great. But put everything in the crock pot. Grits, Water, Salt, Cream and Butter turned it on, and went to bed. The next morning I opened the lid and was not too sure. but once I finally got it all mixed together, it was good. We added the cheese as we fixed our plates. They needed more seasoning but overall it was very good. We doubled the recipe because we were going to have 10 people, but…looking back we should have kept the recipe the same because we had a lot left over. I love Grits!! As a Child I would not eat anything other than Grits. My dad used to call me Grits-Blitz. Such fun traditions, Leigh! I’m glad you liked the grits! Cute nickname too! Thanks so much! Every January 1st. My family & I had a New Year brunch! To bring in the New Year together. I made the grits this year it was such a hit! They love them. They were perfect!